I bring marketing expertise and orchestration to help thought-leaders communicate ideas that transform and inspire people. Provided marketing services to promote and fill the first International Women's Summit, working with Liz Dawn of Celebrate Your Life Events. Keynote speakers covered the spectrum including media, politics, activism and spirituality, and included Elizabeth Gilbert (Eat Pray Love), Lisa Ling (CNN), Erin Brockovich (environmental activist), Marianne Williamson (spiritual author and lecturer), and Sheri Salata (former President, OWN: Oprah Winfrey Network). Developed marketing strategy and ran marketing campaigns producing six-figure launches for online courses with Jean Houston, Neale Donald Walsch, Lynne Twist, Arielle Ford, Terry Patten, plus bonus faculty including Eckhart Tolle, Byron Katie, Panache Desai, Thomas Hübl, Michael Bernard Beckwith, and Marianne Williamson. Claire Zammit and Craig Hamilton, founders of Evolving Wisdom, are also among the faculty of this online institution. Developed and implemented successful marketing campaigns for Thomas' online courses and free online events, including the inaugural launch of a new Livestream series, Mystic In The Marketplace with Thomas Hübl, which attracted his largest live online attendance. Provided marketing mojo to help create a webinar and online course to build the Moxie mailing list and begin the process of developing products to scale Moxie services. Deb Beroset is an Influence Stylist specializing in helping successful, passionate coaches & consultants transform from hidden-gem experts to influential, trusted authorities making a big impact. Provided consulting services and upgrades to the author's website, including the addition of a free giveaway and streamlined course information webpages, plus email campaign copy. Managed the project to propel the paperback release of Tribal Leadership to the #1 New York Times bestseller position (the campaign also put the book in the top 3 of the Wall Street Journal, USA Today and BusinessWeek bestseller lists). Ran marketing campaign to win #1 New York Times bestseller status. Also was awarded among the top 3 bestselling books on the Wall Street Journal, USA Today and BusinessWeek bestseller lists. Generated strong pre-sales of the paperback release. Managed book PR and media appearances. 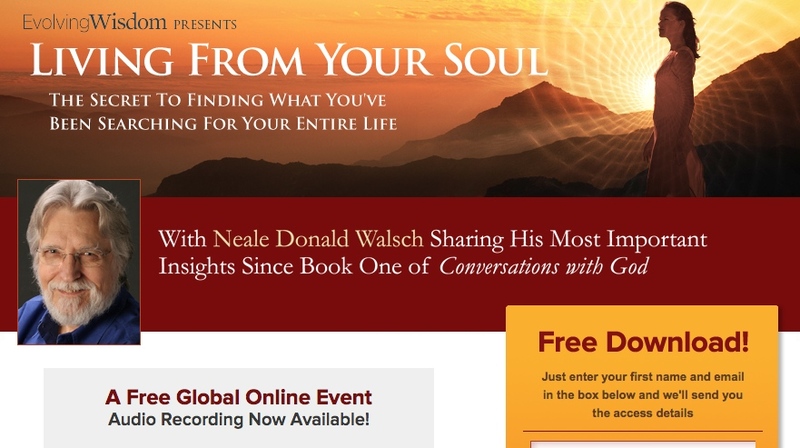 Neale wanted to get the message out about his newest book, The Only Thing That Matters... so I proposed we create a new online course at Evolving Wisdom based on the book. I created a project flowsheet and timeline, and oversaw discovery meetings and regular check-ins with Neale. And I managed the team, which included graphic design, production services, and web development, to lay out the themes and structure of the course, then build the creative assets for the marketing campaign and course itself. The marketing content is one of the most downloaded in Evolving Wisdom history, reaching over half a million people. The launch was a tremendous success, and now thousands of people worldwide have taken the online course. Living From Your Soul is a multi-million-dollar program that changes people’s lives all over the world! Following Jean Houston's popular 7-week course, Awakening to Your Life's Purpose, we developed a 6-month advanced course, Living Your Supreme Destiny. Building on the success of both courses, and in response to customer demand, we developed this new course. Together with Jean and a small team, we outlined the themes and structure of the course and the key elements of the marketing campaign. The launch was a tremendous success, with one of the highest registration levels of any online course at Evolving Wisdom. Unlock Your Quantum Powers is a multi-million-dollar program that sparks people’s creativity all around the world! Improved brand cohesion and online marketing strategy by creating an affiliate website, mtvn.com, which has become an efficient and effective platform for marketing over 63 promotions at any given time through one affiliate portal. Reduced marketing expenses by $400,000 quarterly through migrating all promotional material online rather than sending physical affiliate kits through the mail. Oversaw website strategy which improved MTV's industry ranking for best service, going from 13th best rated website to 2nd in one year. The consolidation of multiple brand campaigns onto one platform solved the costly problem of all the brands competing internally with each other for affiliate attention. I volunteered on the inaugural conference, which produced over 200 commitments valued at over $1.5 billion. The following year I was brought on staff to help develop the program and manage the speakers and presenters at the conference.